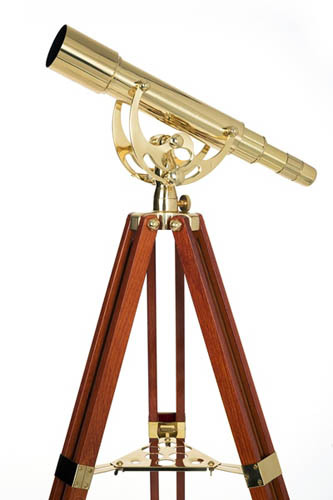 The Celestron 22303 is classically designed and fully functional 50mm brass refractor telescope features wooden accents, 50mm objective lens, a fixed 15-45x zoom eyepiece, and is an ideal decorative item for the home, office, or anywhere you may want to incorporate its vintage style. The full-height adjustable mahogany tripod includes a brass accessory tray. Functional and sophisticated. The Celestron Ambassador Series Executive 50MM has many exciting features for users of all types. You can extend the lifetime of your Celestron Ambassador Series Executive 50MM with the purchase of a FactoryOutletStore Factory Protection Plan. See the Celestron Ambassador Series Executive 50MM gallery images above for more product views. The Celestron Ambassador Series Executive 50MM is sold as a Brand New Unopened Item.